But first, this bath bomb. Hooooooly crap, it was lovely. It smelled of lemon and oakmoss, and it made me think of tea and relaxing. While I usually associate citrus scents with waking up, Kappa had me very chilled out. 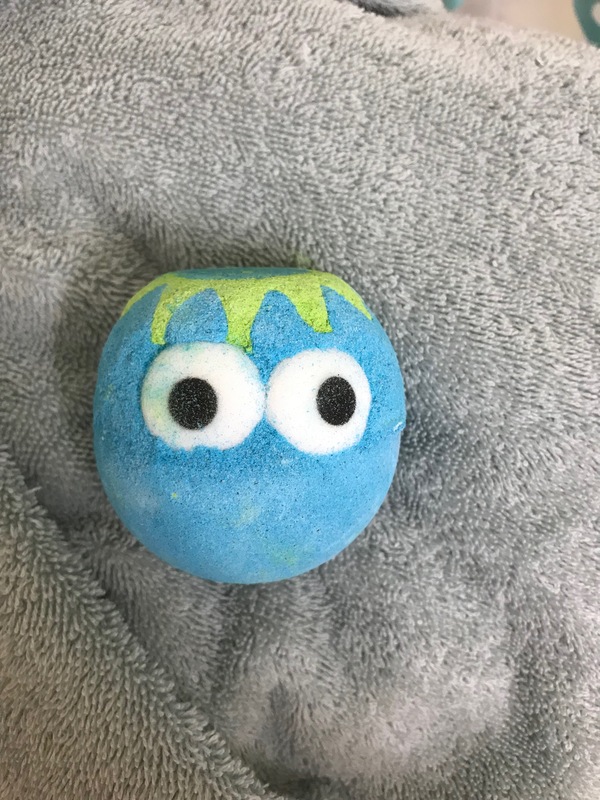 Apparently he is a part of the playful line, but maybe all baths make me feel relaxed. Either way, Kappa was lovely. While the scents are so dang important with any bath, Lush is known for their bath shows. Kappa didn’t do anything wild, but the my tub water was split between green and blue. When it finished, I had an absolutely gorgeous, turquoise bath. Laying back in one of my favorite colors was beyond dreamy. Kappas themselves are a really neat part of Japanese mythology. My boyfriend and I went over some fantastic information about kappas while I looked over the collection. Kappas are known to be mischievous. They’re funny creatures with bowls of water on their heads. They love cucumbers, and you may be able to get one to bow (spilling it’s head water and weakening it) with a cucumber! 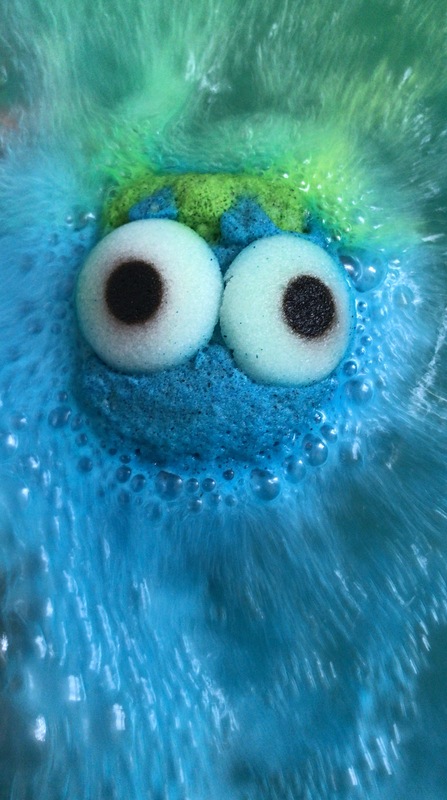 I loved learning this fact especially, because there is cucumber powder in the kappa bath bomb! They can also be removed by farting at them! But be careful, because they can fart back! Kappas are silly, and I really liked learning about them. I also loved how soft my skin felt, and how good I felt overall after using the Kappa bath bomb. I suggest you head to your local Lush and give one a sniff. If you’re not into it, I’m sure there will be something else to catch your eye. Enjoy your Sunday, and happy bathing!